Superman's biggest fear is often pushed back by his values, making him one of the greatest superhero in the world! 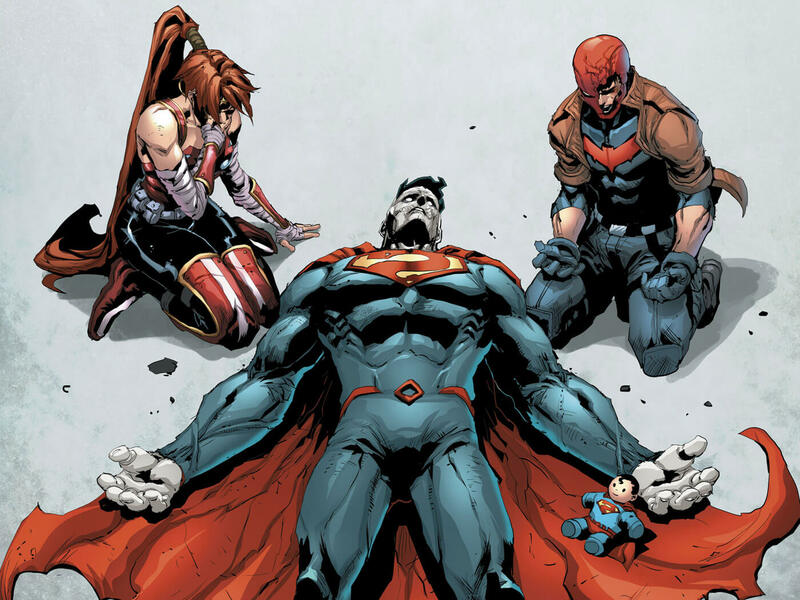 After discovering himself along with his family on a new world where his counterpart died before his eyes, Superman had no chance to catch a breath as he tackled the Eradicator (Son of Superman), fought Doomsday (Path of Doom), helped Justice League preventing an invasion (The Extinction Machines). Then he band up with The Trinity to defeat Mongul (Better Together), saved Supermen of Multiverse from a being Prophecy (Multiplicity) and discovered his place in this new world (Superman Reborn) before standing out against a newly reformed version of Superman Revenge Squad (The New World). Even a Man of Steel needs rest after all that stress and he returns home tired and wake up next day to find out his wife Lois Lane has arranged for a special Fourth of July trip throughout the country to celebrate America's 241st birthday. She and Clark teach their young boy Jon Kent about lessons from history and the idea of coexisting with different beliefs. They toured trough places from Niagara Falls, Philadelphia and Washington, D.C., meeting people who served the country before returning back to Metropolis. Back in the city, little kids are gone missing for more than two weeks and it worries Superman. He finds yellow footprints and following them, led him to the first missing child with another kid and when confronted, they blasted him with some yellow energy. Initially, he believes Sinestro is behind all these but then he finds the locations where the kids are all kept as Parallax were feeding on their fears. After resisting for a while, Big-Blue willingly submits himself to the fear entity seeing it draining those abducted kids alive. Sooner as the demon took possession of his body, an old foe strikes on him and is revealed to be Sinestro, who came back to re-acquire the parasitic entity. However, using the amazing might of Superman, it managed to pummel the Korugarian to ground but then is transported to the anti-matter universe of Qward, where Weaponers of Qward struck it down using their Qwa-Bolts. Trying to exorcise Parallax out of Superman's body, Sinestro exposed him to a series of his greatest fears, all involving him failing to save the day. Soon, it leaves him and made the Korugarian believe to have taken refuge into Lyssa Drak but it is revealed to be otherwise. Because of his last encounter with Hal Jordan (Sinestro's Law), the villain got exhausted from struggling to put the entity inside his ring and the Kryptonian made a judgment call before returning to Earth. Then, in pursuit of the interview of a lifetime, Lois Lane travel across the globe to meet the ultimate assassin, Deathstroke the Terminator and they cross each other's path on very irregular circumstances. Here is your links to buy "Superman – Hopes and Fears" from DC Comics in issues on Amazon. Here is your link to buy "Superman – Hopes and Fears" from DC Comics on Amazon. 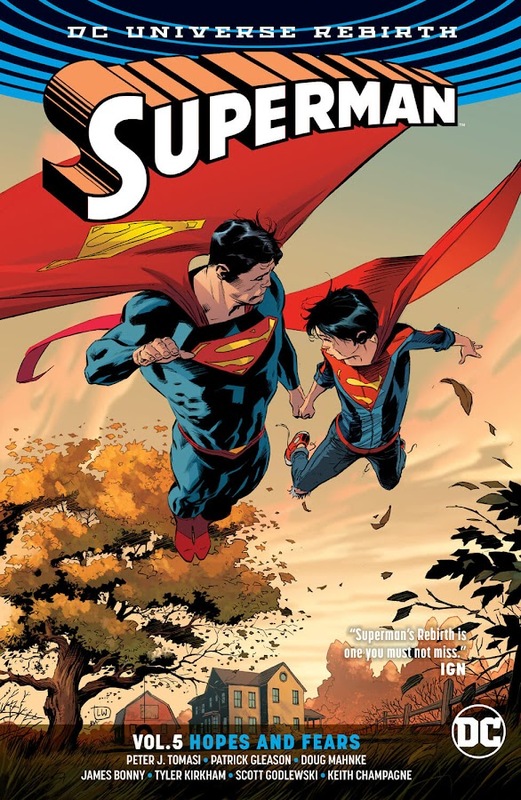 Man of Steel continues his journey on DC Rebirth from "Black Dawn" storyline to a new one titled "Hopes and Fears", which collects issues #27-32 from the fourth volume of Superman monthly ongoing from DC Comics. Unlikely enemies like the Lord of Yellow Lantern Corps and the self-proclaimed Terminator have come to tangle with Big-Blue under interesting situations. Series regular Patrick Gleason (Brightest Day, Sinestro Corps War) and Peter Tomasi (Batman – Arkham Knight, Black Adam – The Dark Age) are joined by two new writers James Bonny and Keith Champagne to contribute in the plot conceived in 2017. 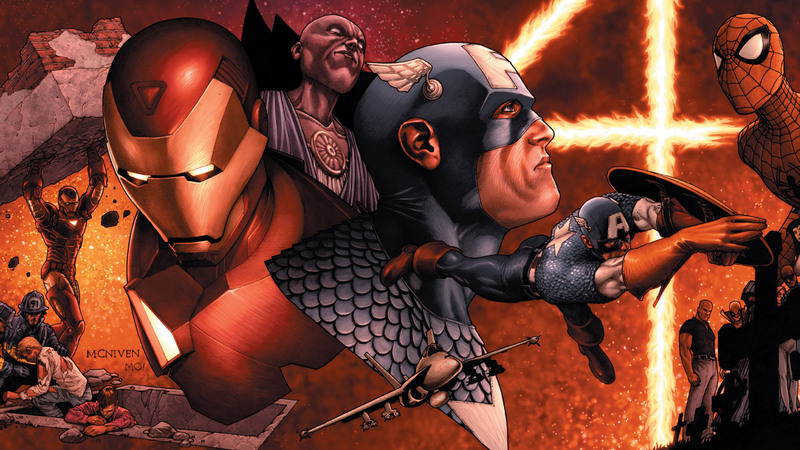 Artists Ed Benes (Justice League of America – Injustice League, Justice League of America – Tornado's Path), Doug Mahnke (Final Crisis, Justice League Elite), Philip Tan (Spawn, Uncanny X-Men) and Tyler Kirkham (Deathstroke – Family Business, Deathstroke – Suicide Run) took turns on penciller duty. 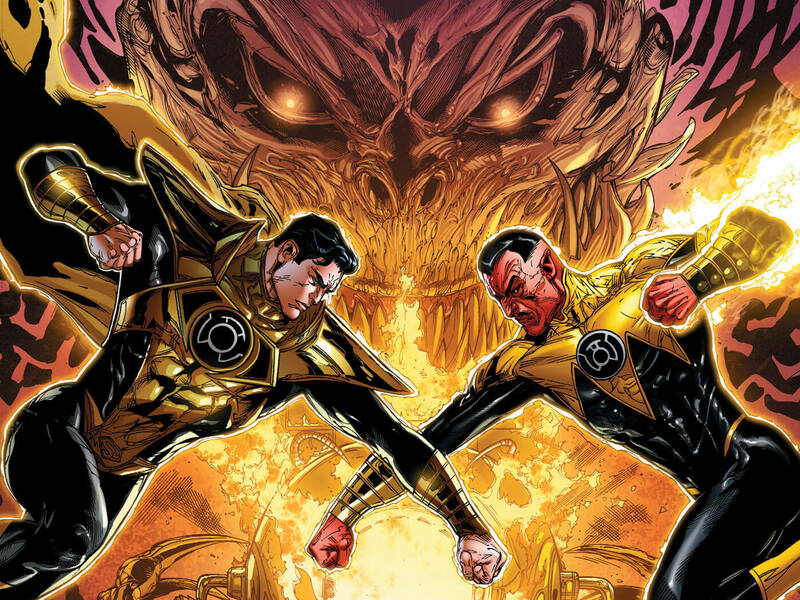 The fear entity was released after "Forever Evil" and now Thaal Sinestro seeks its power once again. The tale of Parallax will continue later in "Hal Jordan and the Green Lantern Corps – Twilight of the Guardians" storyline next and Superman will return for a trip to Apokolips with his family in "Imperius Lex" arc. The original Man of Steel returns to a new version of Earth, where he faces Doomsday to save Metropolis. With The Final Days of Superman have ended, Lex Luthor decided to take up the mantle of the fallen hero who fought beside him and declared himself as the new Superman dedicated to protect Metropolis and watch over as the new savior. When he stopped a robbery on broad daylight in live television with an S-Shield on his chest, Clark White was watching it in his house with his wife Lois Lane and son Jon Kent at his Hamilton County home. Thinking him as the same old evil Lex Luthor he fought all his life on another Earth, Clark dons his cape and flew to Metropolis with an urge to stop this maniac. Interrupting Lex’s speech mid-way, Superman appears hovering over and claiming himself as the real protector of the city but Lex simply accuses him of being an impostor. As Superman was about to approach Luthor, his warsuit responded by attacking automatically in self-defense and a fight broke in on the mid-air of Metropolis because of the mutual misunderstanding. Their fight draws city-wide attention and to cover the story, Perry White sends the best reporter of Daily Planet to aid photographer Jimmy Olsen cover the story; Clark Kent. The heist that Luthor earlier stopped was a cover-up for another theft of a top-secret package from Geneticron. However, the thing inside it suddenly wakes up and crashes in the middle of the fight. Before Luthor could even react, Superman recognizes it as the only abomination that killed him; Doomsday! Both Superman and Luthor charges at the beast with everything they got without wasting any time but it proved to be too strong even for the combined might of them. While Superman trades blows with the monster, Luthor tries to drive it away from the civilians. Lois watches the whole conflict from home on TV thinking of the time when Superman faced Doomsday for the first time, with an unbeknownst Jon to the event, who believes that his father can defeat the creature. 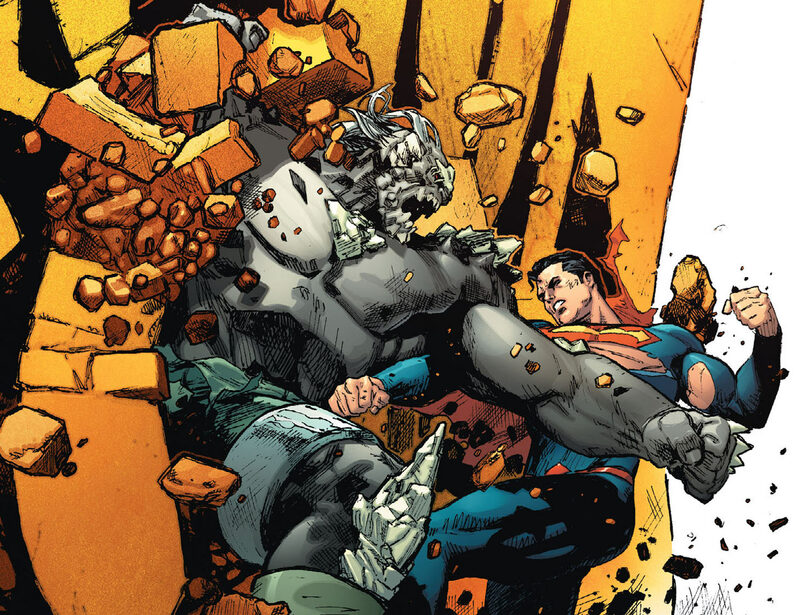 At point on the fight, Doomsday got his hands on Luthor and tears apart his Apokalyptian armor but the timely intervention of Superman eventually saved his life. Reporter Clark Kent gets in the path of Doom risking his life to get the scoop Perry sent him for and fell in front of the beast. Then the sudden arrival of Wonder Woman took him out of the harm's way and the warrior princess joins the battle against Doomsday! Meanwhile, a mysterious hooded figure watches all of these from an undisclosed location, who has an agenda of his own which is larger than all that’s going on. Here is your links to buy "Action Comics – Path of Doom" from DC Comics in issues on Amazon. Here is your link to buy "Action Comics – Path of Doom" from DC Comics on Amazon. 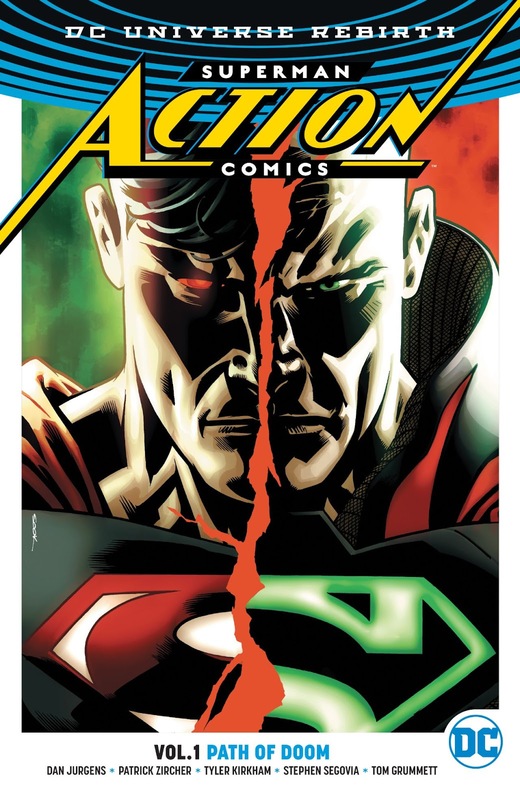 With the usher of the “DC Rebirth”, comic-book writer Dan Jurgens (Aquaman, The Death of Superman) has joined forces with artist Patrick Zircher (Green Arrow – New 52, Suicide Squad – New 52) and Tyler Kirkham (Deathstroke – New 52, Green Lantern Corps) to debut a new era on the new Action Comics monthly ongoing with the first story titled “Path of Doom”. It ran through issue #957-962 of the series that features the return of Doomsday, a newly reformed Lex Luthor, Superman of New Earth, reporter Clark Kent who is not the Man of Steel and a certain Amazonian princess of Prime Earth. 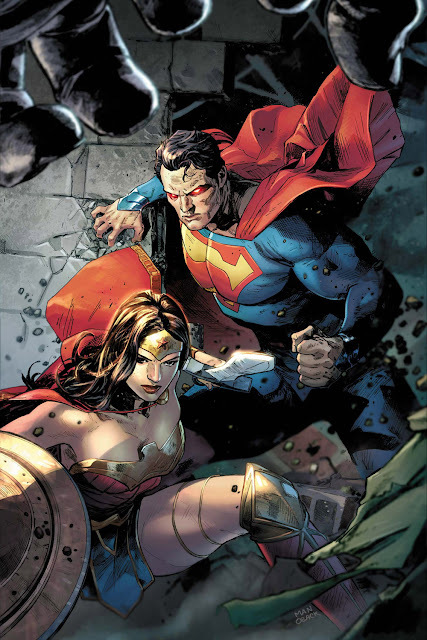 The end-result of the Convergence crossover event and Darkseid War crossover arc from The New 52 timeline was also pointed out with the presence of Pre-Flashpoint Superman on Prime Earth and a reformed Lex Luthor in a warsuit powered by a mother box to become the new Superman of this world. Considering writer Dan Jurgens was the original writer of "The Death of Superman" storyline, he has depicted a slightly alternate take of that classic event of DC Comics. Issues that were left unresolved are concluded in the "Welcome to the Planet" and "Men of Steel" story-arc of the series up next. Harley Quinn lures Deathstroke to Belle Reve and mae him fight the Suicide Squad, Lex Luthor's army of Bizarros to Red Hood. Slade Wilson was tasked to kill a rogue Titan, Lapetus and gave up his eye as a part of a blood-sacrifice for his action (God Killer). He was training on Danger Island afterwards when his host Victor Ruiz brings him the news about his estranged daughter Rose Wilson, who is gunned down at her home before he could even react to it. A furious Deathstroke immediately rushes to the spot only to find out it was another girl at his daughter's place with a message on her body that led Slade to believe it a handiwork of Joker's lunatic girlfriend; Harley Quinn, who previously made a deal with him for killing her "Boss" Amanda Waller; director of Suicide Squad. So, arming himself up to infiltrate Belle Reve, Slade drops an EMP charge over the facility that severed all communications and unlocked all inmates. As guards were trying their best to keep the deranged inmates into their cells, he quietly drops inside. While Task Force X member Captain Boomerang, Parasite and many other were taking out the guards; Harley Quinn was trying to make an escape out of this loony bin. Deathstroke grabs her from behind, asking about playing decoy with his daughter and got surrounded by other inmates, whom these two easily beat down to submission. Then another assassin Deadshot showed up there with a vendetta from their previous encounter on Russia (Pure Insanity). Their fight is briefly stalled when Slade explains his reason to be here is to find Rose but Harley tries to re-engage them to save herself. They are soon interrupted as Deathstroke is quickly pulled to the aquatic block by Black Manta, who also wants to get back at him. Apparently, Manta too has a grudge over him regarding the last time they ran into each other and takes him down under. At Waller's office, reptilian villain Snakebite shows up during the breakout and he cornered her after quickly killing off her bodyguards. All situations came under control when Internal Forces came to rescue shortly and have Manta diving back to water while Slade heads straight to Waller's office with Harley to finish his work. There they find out corpse of her security personnel and presumed that she is dead already, whereas Snakebite is actually keeping the director hostage within Belle Reve compound. With a timely assist from Catwoman, they two fights their way out of armed guards. More convicts approaches there seeing a chance to exact their vengeance on Waller and these three takes them all down before finally meeting the psycho snake man, with whom Deathstroke had a brief tussle with. Snakebite engages in a fight with Slade who ended up being poisoned by his venomous opponent but forcing him to flee. Slade chases another lead for Rose at LexCorp that involves him standing against Mercy Graves, a Lex Luthor Robot and an army of Bizarros. Then he gets into a showdown with Red Hood, which led him to a man from his past trying to ruin him. 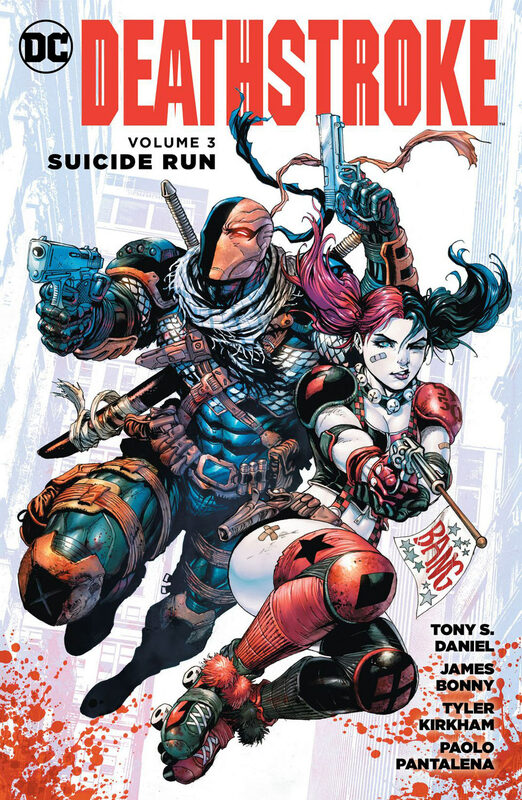 Here is your links to buy “Deathstroke – Suicide Run" from DC Comics in issues on Amazon. Here is your links to buy “Deathstroke – Suicide Run" from DC Comics on Amazon. Running on third ongoing volume, "Suicide Run" is the third story arc from Deathstroke monthly series, collecting issues #11-16. 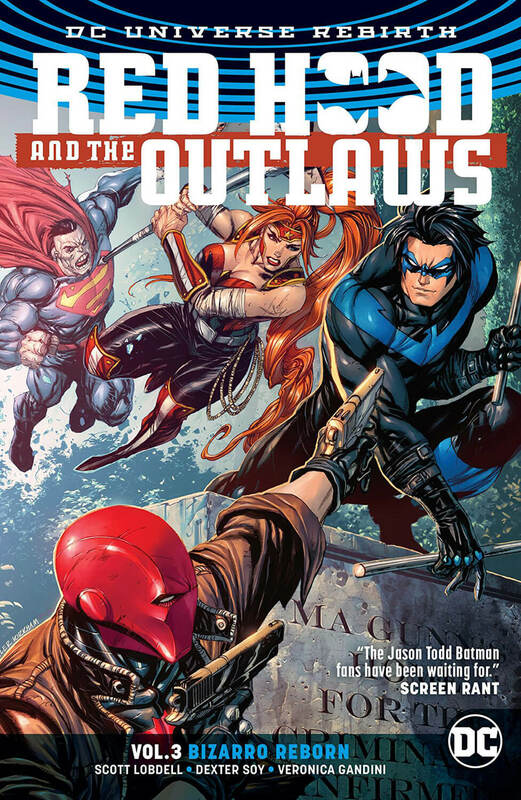 A part of The New 52 timeline, the story is plotted by writer James Bonny and Tony Daniel (Batman, Teen Titans), while arts were done by penciller Tyler Kirkham (The Darkness, Tomb Raider) back in 2015 for DC Comics. 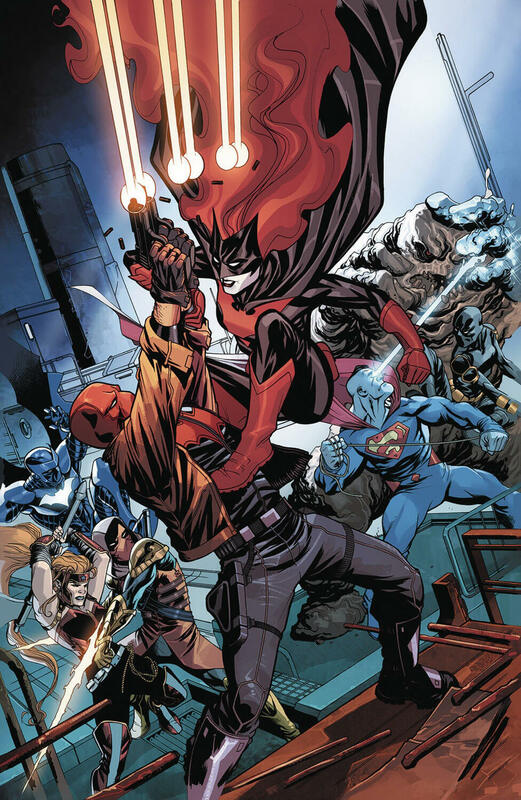 Special guest appearance of Catwoman and Red Hood was truly a refreshing experience altogether even though it only mattered momentarily when they showed up as well as an antagonist from Slade's past, who wants to see him dead after tormenting him enough. 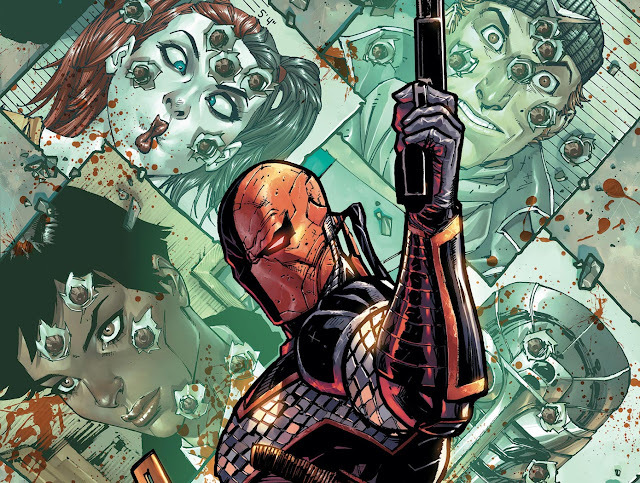 A pattern is formed from the very first arc of this series; "Gods of War" and then it subtly continued throughout the entire time as other development progressed along and Deathstroke eventually went toe to toe with members of the infamous Suicide Squad at one point, with whom he shares not so pleasant history after all. Minor hints toward other ongoing stories of DC Universe such as "Robin – Son of Batman – Year of Blood" and previous issues from "God Killer" storyline were given in plot details as reference. 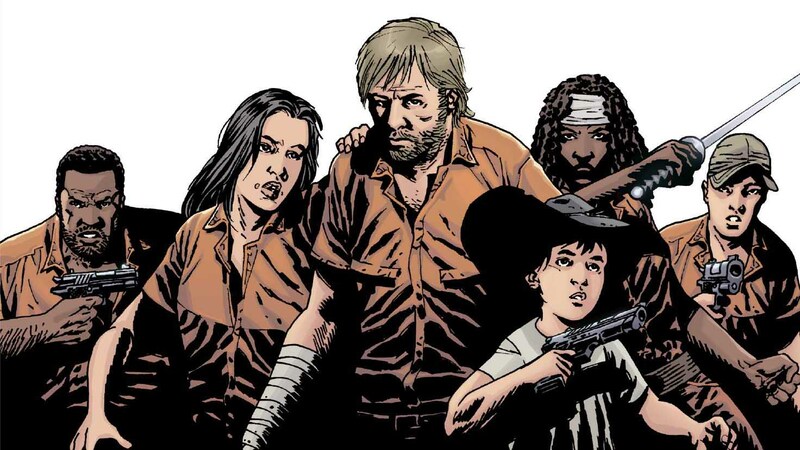 Both the series and Slade's chronicles will be concluded within the next arc titled "Family Business" where all stakes will go sky high for him. When Deathstroke is hired by a God of Olympus to kill another imprisoned god, Slade have to travel to the land of Themyscira. During Slade Wilson's previous encounter with Odysseus has restored his youth as well as his eye by an old guy named I-Ching but as Deathstroke The Terminator, he has lost his edge (Gods of War). He is approached by Olympian God Hephaestus for a task and presented him the infamous God-Killer sword upon meeting to kill a god. Normally, he wouldn't even think about it at all but since he his way past broke now, he accepted the contract. His current benefactor from their mercenary team "Dead Bastards", Victor Ruiz watches him in action alongside Olympian's forger of weapons. Slade is pitted against a few grizzly monsters of that island and he cuts them down with God-Killer as it vibrates with his hatred and rage. Slade complains about the fact that a weapon which constantly changes its shape and weight is quite difficult to master. Nevertheless, he becomes a part with the blade feeling its own emotions of hatred and massacred them all with ease. The forger seemed impressed with his abilities as a mere mortal to handle God Killer and Victor points out, Slade is no mere mortal either. Before taking the assignment, he goes to see his daughter Rose Wilson one more time and left a note for his son Jericho. Hephaestus then drops him to Paradise Island and reveals his target to be an exiled Titan named Lapetus, whose essence was spread around Themyscira and he was known as The God of Mortality. Slade sneaks through the forest to Tartarus, guided by the sword while trying to avoid being seen by The Amazons. The Olympian forger decided to aid him as a floating projection by his side and upon slaying the guards, he finds a statue. Apparently it bears a resemblance to Apollo and Slade striking it with God Killer at the urge of the sword itself let Lapetus easily broke out of it and escape, leaving the assassin alone to face the wrath of current God of War, Wonder Woman! Slade faces a furious Amazon Queen charging at him, believing he is responsible for release of Lapetus and he explains why he set foot on Paradise Island in the first place, to kill this imprisoned Titan with God-Killer blade from Hephaestus. Diana and Deathstroke both realize that they are currently on same page with a bit of help from her friend Hessia. While they all were busy arguing, scattered essence of Lapetus from all corners of Paradise Island begins to slowly gather to unleash his madness upon the world once again. 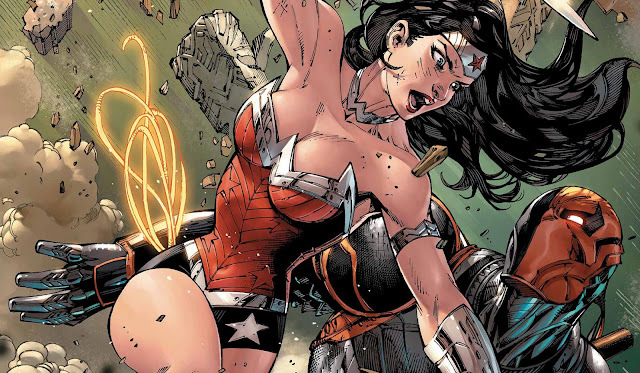 Seeing no other way to stop him, Diana and Hessia allowed Deathstroke a chance to do what is right since he has his way with the God-Killer sword. After decimating an army of demons, he finds himself confronting his children Rose and Jericho, whereas Diana sees her deceased mother Hippolyta. They both face their demons and ultimately were able to escape from the illusion. When it felt like their fight against Lapetus is lost, a certain Man of Steel enters the scene. Here is your links to buy "Deathstroke – God Killer" from DC Comics in issues on Amazon. 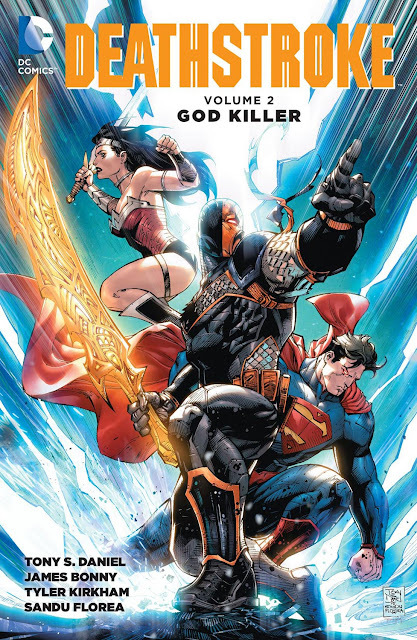 Here is your link to buy "Deathstroke – God Killer" from DC Comics in issues on Amazon. 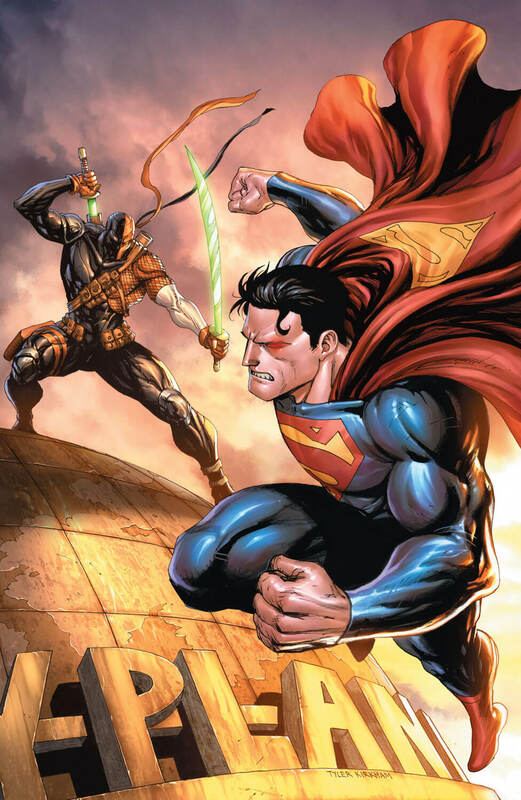 While doing illustration for this monthly book, artist Tony Daniel (Superman/Wonder Woman, The Tenth) eventually took writer's duty to pen out the second Deathstroke storyline from third ongoing volume along with James Bonny. 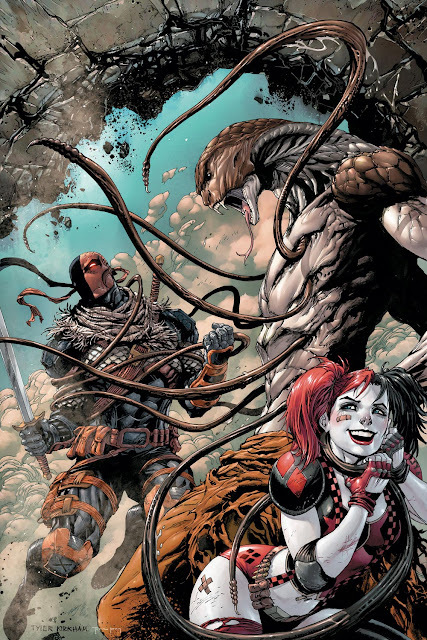 Artists Eduardo Pansica and Tyler Kirkham (The Darkness, Tomb Raider) also served as guest-penciller for last three issues of the story, which is from Prime Earth timeline of DC Comics. "God Killer" takes premise from a standpoint of Slade's previous misadventure as a trained assassin and sets him a little out of his league facing a rogue Titan. Someone among the Pantheon of Olympian Gods wanted Titan Lapetus dead so that he never becomes a threat in future and hired elite mercenary Slade Wilson for this job via Hephaestus. Not only his contract of killing a god is near impossible but it really takes the metaphorical cake when Superman and Wonder Woman come to stand in his way. 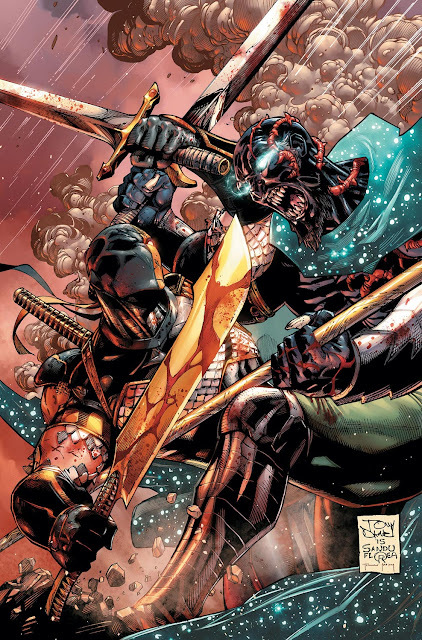 With lots of hard to handle actions, it leaves Slade Wilson paying a high price even if he comes out successful in the end of this assignment. In spite of him trying to reconcile with his children, Jericho and Rose still doesn't want to talk to him yet.